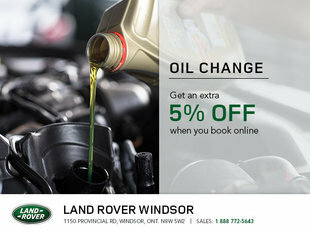 If you’re looking to save, Land Rover Windsor is your destination of choice. Whether you’re in need of a brand new vehicle, genuine Land Rover parts and accessories, or maintenance, we’ve got an offer for you. We’ve got discounts on service when you book your appointment online, competitive prices on oil and filter change services, and more! We update our special offers on Land Rover vehicles on a monthly basis, so be sure to regularly visit this page. In addition to such advantageous offers, we even have financing solutions that are sure to benefit you during your purchase. Visit us today to discover our low-interest rates and flexible terms. 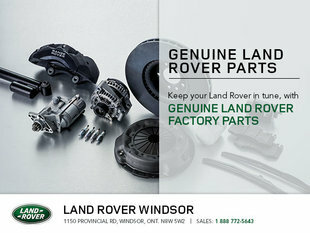 At Land Rover Windsor, we aim to provide value to our customers. We’ve got special offers on genuine Land Rover factory parts to help you maintain your vehicle’s safety, reliability, and performance throughout the years. 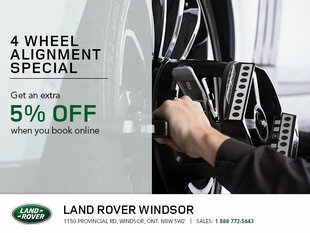 And if you’ve noticed that your car’s alignment is slightly off, look no further than Land Rover Windsor. With our special offers, say goodbye to your uneven ride with a visit to our service department. 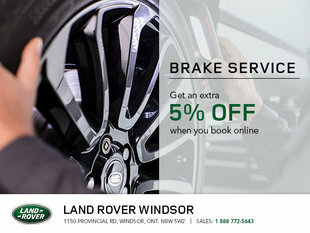 To learn more about our special offers, visit us at Land Rover Windsor today!